Traditionally, in automobile insurance defense litigation, there is a plaintiff alleging harm from a collision involving another driver who was allegedly operating their vehicle negligently. That driver’s automobile insurance policy is exposed to paying out a damage award to the plaintiff. But what if there is no negligent driver? What if the plaintiff was harmed in a self-driving automobile? A former Navy SEAL was the first known fatality in a self-driving car in May 2016. He was in a Tesla Model S. The vehicle wound up colliding with a big rig that was crossing U.S. Route 27 in Williston, Florida. The Tesla was in autopilot mode at the time of the fatal accident. The autopilot software reportedly did not recognize the bright white side of the big rig, according to The Verge. It was a shocking incident considering the Tesla had already been on the road for quite some time (the owner had 45,000 miles on the car). Tesla took immediate action when the news broke and issued a press release highlighting the fact that this was the first fatality to occur in its vehicle in over 130 million miles. To put that into perspective, among all U.S. vehicles, there is a fatality every 94 million miles. Tesla took a number of steps to limit its liability exposure concerning the auto of the autopilot feature in its vehicles. 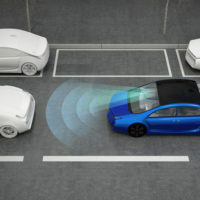 For example, the company makes sure that Autopilot is disabled as a default and requires explicit acknowledgement from the human driver that the system is new technology and still in a public beta phase before Autopilot can be enabled. When Autopilot is activated, there is a disclaimer expressly alerting the driver that Autopilot is an “assist feature” that still requires the human driver to keep their hands on the steering wheel at all times and they remain in control and have responsibility over the vehicle while it is being used. Furthermore, when Autopilot is activated, the car automatically reminds the human driver to keep their hands on the wheel and to always be prepared to take over at any time. These important disclaimers and alerts are absolutely essential to help minimize Tesla’s exposure and is relevant if a claim is brought against Tesla and its liability insurance policy. Insurance coverage or exclusion provisions regarding the use of autopilot vehicles by consumers. The Brownsville insurance defense lawyers at Colvin, Chaney, Saenz & Rodriguez, L.L.P., have successfully defended major insurance companies against a myriad of claims. We know the tactics used by plaintiffs’ lawyers and we know how to build a strong defense to persuade a jury to find in favor of our clients.